WTCC champion José María López and four-time title winner Yvan Muller were the street heroes of Marrakech today with the Citroën Racing aces coming out on top of two thrilling contests that formed Eurodatacar WTCC Race of Morocco, rounds three and four of the 2015 FIA World Touring Car Championship. López bagged race one glory from pole with Muller repeating the feat in the second 14-lap chase for WTCC success. China’s Ma Qing Hua scored his first podium of 2015 with the runner-up spot in the opening race as Sébastien Loeb held off home hero Mehdi Bennani for third. Muller converted pole to victory in race two despite intense pressure from Loeb. López battled back from 10th to third to remain in control of the title race with a 17-point advantage after four rounds. Bennani’s fourth in race one gave him the Yokohama Drivers’ Trophy laurels as Tom Chilton secured the category honours in the second event at the wheel of his privateer Chevrolet. Both rounds at the sun-baked Circuit Moulay El Hassan street course produced plenty of drama with Tom Coronel forced out of the first race following contact with Chilton. Coronel was also out of luck in race two when he clashed with Honda’s Tiago Monteiro at turn one following a bump from the pursuing Norbert Michelisz. Former champion Rob Huff was eliminated in the second race after a hefty hit from LADA team-mate Mikhail Kozlovskiy nearing the completion of the opening lap. José María López headed an all-Citroën podium ahead of team-mates Ma Qing Hua and Sébastien Loeb. The Argentine made the most of his pole position, which is presented by WTCC Official Logistics Partner DHL, to lead into the first corner. After heading a train of C-Elysée WTCCs for the first half of the race, López gradually opened up a slender advantage, which he held to the flag to win by 0.942 seconds. Mehdi Bennani started second but lost out to Ma and the fast-starting Loeb into turn one. Although he briefly got ahead of his rival and team boss on lap nine, he couldn’t make the move stick and Loeb was ahead again shortly afterwards. Despite a determined charge to wrestle the place back from Loeb – and with huge support from the home crowd – the Moroccan driver settled for fourth with Yvan Muller fighting back from 10th to fifth. Tiago Monteiro and Gabriele Tarquini were sixth and seventh for Honda respectively with Norbert Michelisz eighth, Stefano D’Aste ninth and Tom Chilton 10th on the road after he overtook LADA’s James Thompson, who in turn lost out to team-mate Rob Huff in the same move. However, a first-lap incident between Chilton and his ROAL Motorsport team-mate Tom Coronel became the subject of an investigation by the event stewards with Chilton conceding he got his braking wrong. The Briton was handed a 30-second penalty and dropped out of the top 10 as a result, handing countryman Huff the final point. Coronel was forced to retire following the clash at one of the track’s tight chicanes. Hugo Valente initially failed to make it off the grid due to a suspected mechanical fault but later re-joined the action to cross the line in 15th, one place behind Campos Racing team-mate John Filippi. Mikhail Kozlovskiy was 12th on his first start of the season but Grégoire Demoustier stopped after three laps. Dušan Borković withdrew before the start due to personal reasons and continued problems fitting in his Proteam-run Honda. Bennani scored top Yokohama Drivers’ Trophy points ahead of Michelisz and D’Aste. An ill Rickard Rydell was absent from the meeting for Honda Racing team Sweden. Yvan Muller overcame an opening lap mistake to fend off Citroën team-mate Sébastien Loeb for his first victory of 2015. Muller and Loeb, who both hail from the Alsace region of France, were inseparable for much of the 14-lap race with Muller coming out on top by 0.552s. José María López broke his existing lap record as he charged through from 10th to third with Tom Chilton scoring top Yokohama Drivers’ Trophy points in the leading Chevrolet RML Cruze TC1 in fourth. Hugo Valente was demoted from fifth to ninth following a clash with Mehdi Bennani, who was also penalised for a separate incident with the young Frenchman, dropping him to 12th. With Norbert Michelisz also handed a penalty for contact, Stefano D’Aste took sixth after a solid weekend for ALL-INKL.COM Münnich Motorsport with James Thompson seventh for LADA and John Filippi (Campos Racing) eighth. Brake issues hampered Ma Qing Hua but he was eventually classified in 10th. Craft-Bamboo’s Grégoire Demoustier retired with a mechanical fault, while Rob Huff was eliminated in a first-lap clash with LADA team-mate Mikhail Kozlovskiy, which also led to the Russian’s exit. Frantic efforts from ROAL Motorsport to repair Tom Coronel’s damaged Chevrolet in time for the Dutchman to start race two from the front row of the grid proved in vain when he crashed out in an incident involving Tiago Monteiro and Michelisz while dicing for position into the opening turn. Mehdi Bennani and Tom Chilton shared the Yokohama Drivers’ Trophy victories. But with Norbert Michelisz scoring in both races, it’s the Hungarian Honda driver who will jointly lead the standings with Bennani heading to his home event next month. Stefano D’Aste and John Filippi also scored podiums during two action-packed races. Hugo Valente finished in the points twice but Tom Coronel and Grégoire Demoustier posted a brace of non-scores. Go to Fiawtcc.com for the provisional race classifications. Go to Fiawtcc.com for the provisional standings after Eurodatacar WTCC Race of Morocco. The 2014 World Touring Car Champion José María López will attend the Essen Motor Show ahead of WTCC’s return to Germany. The 2015 season will mark the return of the FIA WTCC to Germany, one of the key automobile markets and one of the cradles of touring car racing. The WTCC will write history on 15-16 May 2015 when it will bring back a round of an FIA World Championship to the legendary 23-km Nürburgring Nordschleife. Promotional activities ahead of WTCC’s return to Germany will kick-off this weekend, with a strong presence at the Essen Motor Show, the prestigious yearly gathering of motorsports players and fans. Europe’s first motorsport exhibition will open its doors for the public on Saturday 29 November and go on until Sunday 7 December. The 2014 FIA WTCC champion, José María López, will attend the traditional Race Night of Auto Bild Motorsport that will take place today. A WTCC car, the Honda Civic WTC, will be on display at the Eurosport and DMAX joint stand, and a number of activities are foreseen to foster awareness on the Nürburgring race among the 350,000 visitors expected at Essen’s fair complex over the nine days. Once again, also the FIA European Touring Car Cup will be well represented at the Essen Motor Show. Three racing cars will be on display in the FIA ETCC stand: the Krenek Motorsport BMW 320si that finished second in the Super 2000 TC2 class with Czech driver Michal Matějovský; the Ravenol Team Ford Fiesta 1.6 16V with which Ulrike Krafft claimed four race victories in in the Super 1600 class and the Ladies’ Tropy title; the Single-Make Trophy SEAT León of Pfister Racing. Details about the 2015 FIA ETCC season will be unveiled at the show. Sébastien Loeb will make a one-off comeback to the World Rally Champions, competing in the Rallye Monte-Carlo from 19 to 25 January. The nine-time WRC champion who switched to WTCC at the beginning of 2014, will drive a Citroën DS 3 WRC, accompanied by his regular co-pilot Daniel Elena. The duo has claimed seven victories in the Rallye Monte-Carlo. The 2014 FIA World Touring Car champions were honoured Sunday night, during the traditional party at the Macau Tower. The winners of the season that ended at the Guia circuit after twelve race meetings around the world were called on the stage to collect their awards. Citroën Total drivers José María López, Yvan Muller and Sébastien Loeb filled the podium of the Drivers’ Championship. Awards for the Manufacturers’ Championship were received by Xavier Mestelan-Pinon for Citroën, Daisuke Horiuchi for Honda and Victor Shapovalov for LADA. The Yokohama Trophies were awarded to Franz Engstler, John Filippi and Pasquale Di Sabatino (drivers), ROAL Motorsport, Zengö Motorsport and Campos Racing (teams), while Filipe de Souza collected the Asia Trophy. Following a very successful maiden season that was worth the Manufacturers’ Championship and the Drivers’ Championship, Citroën announced it will expand its presence to five cars in 2015. The Citroën Total team will retain the same three drivers who filled the championship podium this year: José María López, Yvan Muller and Sébastien Loeb. Two further C-Elysée cars will be run on a private basis by the Sébastien Loeb Racing Team. “Since it was created, SLR has amassed real know-how at international circuits, in both GT and sports prototype racing. The FIA WTCC marks a new stage in the team’s development,” said Loeb. Ma Qing Hua, who drove in five of the 2014 events a fourth factory Citroën, claiming one race victory at Moscow Raceway, is expected to be one of the SLR drivers. Fourth in the final standings, Norbert Michelisz can claim the unofficial title of ‘best of the rest’, having been the most successful driver behind the dominating Citroën trio. At the wheel of the Honda Civic of Zengö Motorsport, the Hungarian driver has been consistently in the top five in the final stretch of the season, even though he couldn’t clinch a race win, finishing first of the Honda cars in the standings. The podium finish in Race 2 at Macau has meant the best closing possible for Hugo Valente. No doubt though that at 22, the fast and personable Frenchman has become this year one of the established young guns in the FIA WTCC. Now that the season is finished, it was time to go back home for the new FIA WTCC World Champion José María López. The Citroën driver arrived to Argentina last Tuesday for the first time after his successful WTCC campaign to enjoy some well-deserved time off. But relaxing with family and friends in Río Tercero will only come after the public celebrations of Argentina’s first racing World Champion in 57 years. Already warmly welcomed by fans and media at Ezeiza, the capital’s international airport, Pechito has spent a couple of frantic days of interviews and celebration parties, culminated in a huge press conference at the Buenos Aires Modern Art Museum on Wednesday. “I am exhausted after such a long season, but very happy to be among my people and to feel their warm welcome”, he said. It is understood that López will be also awarded for his achievement at the Argentine Senate in the forthcoming days. Mikhail Kozlovskiy had a good reason to rejoice at Macau, as his already announced continuation with LADA Sport was definitively rubber-stamped. Being the junior contender among the three Granta cars of the team – alongside veterans Rob Huff and James Thompson - was not always an easy role for the young Russian driver, but Mikhail, who claimed his best finish (5th) in Race 2 at Marrakech, has enjoyed the experience and is looking forward to LADA’s strengthened program for 2015. “I have learnt a lot in these two years and we have made a tremendous step forward as a team this year,” commented the 25-years-old from Saint Petersbourg. In the full respect of the tradition, the final event of the WTCC season in Macau provided plenty of action and coups de théâtre. In the first race José María López placed the icing on the cake of a triumphant season that saw him clinching the Drivers’ Championship and setting new records for the number of victories and points scored during one WTCC year (10 and 462). Rob Huff emerged as the winner of the second race after a furious battle with Tiago Monteiro and Yvan Muller. This increased the Briton’s tally on the Guia circuit to seven wins in ten races, gave LADA its second success of the year and enabled Huff to finish tenth in the Championship. Monteiro was the unsung hero, as he was forced to retire from the lead during the last lap of Race 2 due to a trivial power steering failure that was the consequence of the safety car period. A few words need to be spent about the other podium finishers. Yvan Muller came second in Race 2 and in the Drivers’ Championship; a good way to abdicate the 2013 crown, especially because he further strengthened his reputation based on eight consecutive years on the championship’s final podium: four times champion, three times second and once third. Norbert Michelisz’s second place in Race 1 promoted him to fourth in the Drivers Championship, the best of the rest after the Citroën trio; it was also the highest placing for the young Hungarian so far. Gabriele Tarquini and Hugo Valente completed the two podiums. The Italian put in a stoical effort as he was debilitated by a food poisoning and so much dehydrated that he could not take the start in Race 2. As for Valente, he strongly fought for stealing third from Michelisz in Race 2; he claimed his third podium in the season and partially made up from a disappointing string of recent races. History was made today in the WTCC at the Moscow Raceway today when Ma Qing Hua became the first-ever Chinese driver to win a race in an FIA World Championship. The fact that Ma drove a fourth factory Citroën C-Elysée helped him immensely of course, but to win on the WTCC debut still demands a serious set of driving skills. Championship leader José Maria López had a weekend of mixed emotions, winning the first race after leading every corner of every lap, and then retiring from Race 2 when the gear linkage broke on the starting grid; the first time López did not score any points in a race. This allowed reigning world champion Yvan Muller to close the gap to the Argentine a bit, though there is still half of the championship to be run. With Sébastien Loeb in third in the first race, all four Citroën drivers had a taste of the podium. Muller and Loeb are not lying 41 and 48 points behind López, respectively. Once again Honda’s expectations after a promising qualifying were disappointed. The two podiums claimed by Gabriele Tarquini and Mehdi Bennani were a meagre consolation as the Japanese cars are not yet enough performing and reliable to match Citroën’s performance. Franz Engstler continued his triumphant march in the TC2T class by taking two further wins. Official figures released by the track spoke of 22,000 spectators over the two days. The championship will resume at Spa-Francorchamps, on June 22 for rounds 13 and 14. José Maria López scored a commanding win in the first of the two Russian rounds of the FIA WTCC. The Argentine came briefly under attack from Gabriele Tarquini at the start of the race, but a misunderstanding between Monteiro and Tarquini that resulted in a slight contact gave him the necessary room to take a defining lead already after just one corner. Sébastien Loeb finished in third, just 0.2 seconds behind the Honda of Tarquini, while reigning world champion Yvan Muller managed to take fourth place from Tom Chilton on the final lap. Citroën’s newcomer Ma Qing Hua scored his first WTCC points by finishing in sixth, while Rob Huff claimed a tenth place for LADA. Ma Qing Hua, driving a fourth works Citroën car, wrote history today by becoming the first-ever Chinese driver to win a race of an FIA World Championship. On the opposite end of the scale of happiness, WTCC points leader José Maria López stalled on the grid and retired; the first time this season the Argentine driver does not score any points. The works Honda cars, too, had a race to forget with both Gabriele Tarquini and Tiago Monteiro retiring for technical reasons while fighting for podium positions. Honda privateer Mehdi Bennani saved the day for the Japanese manufacturer by finishing in third. Franz Engstler encored his victory in the TC2T class. It’s still Citroën ahead of everybody in the WTCC. The French cars took two wins on the fast and tricky Salzburgring, with Yvan Muller imposing himself in Race 1 and José María López in Race 2. For both, it was their third personal success this season. 32,700 spectators visited the track over the weekend. At the end of the weekend, though, the Argentine, who was third in Race 1, went home with a 41-point lead on Muller and 45 on Loeb, while after the morning race his advantage had been reduced to 16 units. This proved that, despite the step forward made by López during the weekend, things can change quickly. Yvan Muller had an almost undisturbed journey to victory in Race 1, where Tom Coronel, at the wheel of the ROAL Motorsport Chevrolet, put the show, resisting fiercely to López, who lost second after going straight through the chicane, with Loeb finishing fourth. Race 2 was completely different for Muller, as the Frenchman had to retire following the accident at the start, which also eliminated the LADA cars of Huff and Thompson. Honda could not use the advantage of having four cars in the first two rows, as Tarquini, who led most of the race, could not resist to López. The Japanese manufacturer still placed three cars in the top four, with Monteiro third ahead of Michelisz. Loeb could not do better than 7th. Franz Engstler continued his triumphant march in TC2, by taking two wins almost at home, beating in both cases Filippi and Di Sabatino. The championship will resume at the Moscow Raceway, on June 8 for rounds 11 and 12. The FIA European Touring Car Cup has passed the half-season mark in Austria and the fight for the different titles is heating up. Winning both races in the TC2T class, despite being pushed at the back of the grid for Race 1 following a technical infringement in qualifying, Nikolay Karamyshev has built a 14-point lead ahead of his team mate Igor Skuz who was eliminated by an incident with a slower car. Michal Matějovský and Christian Fischer took one victory apiece in the TC2 class. However, the reigning champion Petr Fulín has stretched his lead to 22 points over his team-mate Matějovský. In the Single-Make Trophy Aku Pellinen pocketed the maximum score of 23 points (two wins plus the pole position), but thanks to a couple of second places Andreas Pfister remains close, only 11 points behind. Gilles Bruckner disrupted Ulrike Krafft’s winning streak that lasted since the season’s opening meeting at Le Castellet. Claiming a double victory in Austria, Bruckner has closed the gap from the German girl to 15 points. Meanwhile, Krafft has built up a solid 39-point lead in the Ladies’ Trophy. The WTCC community lived an historic moment at the Slovakia Ring, as it witnessed the cancellation of Race 2 due to the extremely bad weather conditions. Heavy rain has been falling all Sunday on the Slovak track, soaking everything and making it impossible to race in late afternoon. This is the first time in ten years and after 211 races since the championship was revived in 2005 that a WTCC race has been cancelled. The bad weather did not discouraged the Slovak fans, and official attendance was of 29,900 over the weekend. Race 1 also was impacted by the adverse weather conditions and was red-flagged before its natural end, although 75% of the distance had been covered and full points were thus awarded. The race was basically decided at the start, where Sébastien Loeb managed to pass team mate José María López, who started from the pole. The two men ensured another 1-2 for Citroën, with Norbert Michelisz (Honda) taking third and visiting the podium for the first time this year. The three Chevrolets RML cars of Coronel, Chilton and Morbidelli completed the top 6, while Petr Fulín brought home victory in TC2 at the wheel of one of the Campos Racing SEAT León cars. With Yvan Muller slowed by a drive-through for jumping the start and finishing only 10th, ‘Pechito’ López has now increased his lead in the championship to 25 points over Loeb, now second. The championship will resume at the Austrian Salzburgring, on May 25 for rounds 9 and 10. German girl Ulrike Kraft (S1600) and her countryman Andreas Pfister (SMT) scored a double victory at the Slovakia Ring in their respective categories. Norbert Kiss and Petr Fulín claimed one race apiece in TC2. Local hero Mat’o Homola retained his Race 2 victory but was stripped of that in the first race after a penalty for a grid infringement that promoted Milhail Grachev to winner. Both races were quite lively and Homola excited the Slovak fans with two dominant victories. He benefited from a clash between Campos Racing team-mates Nikolay Karamyshev and Igor Skuz to win the first race; later he encored after a tough and fair fight with Grachev. Karamyshev is still leading the standings by two points ahead of Skuz. In the TC2 class, Kiss’ Alfa Romeo led the first race from lights to flag and finished second overall behind Homola. He was imitated by Fulín in the second race. The Czech has already built solid leading gaps ahead of Peter Rikli (17 points) and Kiss (18). Pfister had no rivals in the Single-Make Trophy, leaving Dmitri Bragin and Sergey Ryabov to fight for second place. Aku Pellinen retained the point lead in a classification that sees six drivers covered by ten points. Krafft repeated the perfect weekend she had in France three weeks ago, but this time she had to win two very close battles with Gilles Bruckner. Krafft has already built a margin of 18 points in the standings and claimed a solid stake on the Ladies’ Trophy. The 2014 World Touring Car Championship turned a page at the Hungaroring, today, with Citroën being beaten for the first time since the manufacturer’s arrival in the WTCC. While Yvan Muller scored another win in the first race, Gianni Morbidelli chalked up his first-ever WTCC win when he dominated the second race in his Münnich Motorsport Chevrolet RML Cruze. The Citroën team still scored a 1-2 victory in Race 1, with Yvan Muller finishing ahead of José María López and Honda’s Tiago Monteiro. In the second race Morbidelli led the proceedings from start till finish, though Monteiro was never more than half a second away from the Chevrolet’s rear bumper. The effect of the Citroën cars being weighed down by 60 kilograms of compensation weight showed especially in Race 2, where the first C-Elysée finished an atypical fifth. Though the Hungaroring is known for being hard to overtake on, the performance of the Chevrolet and Honda cars showed that the French ‘armada’ is no longer invincible, as Tom Coronel proved by keeping Muller and López at bay for the entire race to score a well-deserved fourth place. Nine-time World Rally Champion Sébastien Loeb had his worst WTCC weekend so far this year as a botched start in Race 1 dropped him from third on the grid to seventh at the end of the first lap, behind all four Honda drivers. Local hero, Norbert Michelisz, had an unfortunate qualifying session on Saturday which saw him outside the top ten when a suspension part broke on his hot lap. The Hungarian still salvaged a sixth place in the first race and a tenth in the second, cheered on by a huge partisan crowd. In the TC2T class, the Liqui Moly BMW team again had a walk in the park, with Pasquale Di Sabatino scoring his first win of the season in the first race, before team owner Franz Engstler scored his fifth victory in the second. In the world championship standings, López still leads with 115 points, but team-mate Muller is now within ten points of the Argentine. The championship will resume next week at the Slovakia Ring, on May 11 for rounds 7 and 8. Reigning World Touring Car Champion, Yvan Muller, scored a commanding win in the first race at the Hungaroring, today. He led home another Citroën 1-2 ahead of team mate José María López. Tiago Monteiro completed the podium in the first Honda Civic. Nine-time World Rally Champion, Sébastien Loeb, atypically missed his start and dropped from third to seventh, allowing all four Honda cars to pass him. Local hero Norbert Michelisz, who had had a difficult qualifying session yesterday, used his talent to move up from 11th to sixth in the space of three corners. With Coronel starting in eighth, the top-8 after the first lap stayed the same throughout the entire race, with the real fights for position happening in the back. Midway through the race, the LADA cars seemed to suffer handling problems and both Rob Huff and James Thompson were passed by the Chevrolet cars of Gianni Morbidelli and Hugo Valente. In the TC2T class, Liqui Moly Team Engstler scored another 1-2, this time “apprentice” Pasquale Di Sabatino finishing ahead of team boss Franz Engstler. Gianni Morbidelli scored an epic WTCC win in the second race at the Hungaroring today, leading from lights to chequered flag. The first for the Italian driver and the Chevrolet RML TC1 car. Honda’s Tiago Monteiro chased Morbidelli hard for the entire race, with the gap between the Münnich Motorsport Chevrolet and the works Honda never being more than 0.4 seconds, but in the end the Portuguese driver had to settle for second. Third place went to Frenchman Hugo Valente in the Campos Chevrolet RML Cruze, making it the first time this season a Citroën did not win the race and indeed the first podium without a Citroën driver. For the German Münnich Motorsport team the races in Budapest seem to bring luck, as the team won here as well last year with Rob Huff. Tom Coronel, who returned to the series this weekend after his massive accident in the opening round in Marrakech, finished in fourth ahead of the Citroën cars of Muller and Lopez. In the TC2T class it was business as usual, with the two Liqui Moly Team Engstler BMW cars again finishing first and second, this time with Engstler ahead of Di Sabatino. It has also become a traditional moment of the Hungaroring round: WTCC cars will again parade in the streets of downtown Budapest, for the delight of all fans. 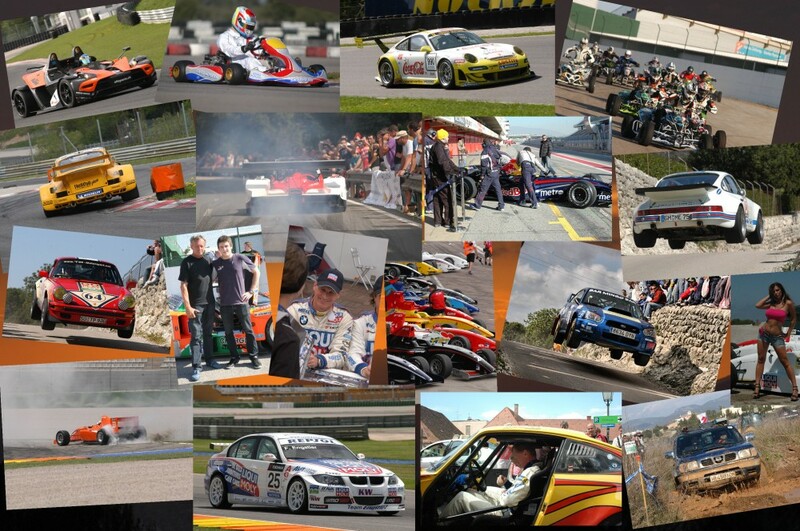 The demo laps will take place on Thursday 1st May between 2 and 5 pm in the Széchenyi Istvan area. The public will have the opportunity to cheer the Citroën carss of Sébastien Loeb, José María López and Yvan Muller, the Honda cars of Norbert Michelisz and Tiago Monteiro, the LADA of Michail Kozlovskiy, the Chevrolet of Gianni Morbidelli and the BMW of Pasquale Di Sabatino. One of the highlights of the weekend at the Circuit Paul Ricard was the visit, on Saturday afternoon, of the His Serene Highness Albert II, the reigning Prince of Monaco. A well-known motorsports fan, the Prince had been invited at the initiative of his country-fellow Daniel Elena, the co-driver of Sébastien Loeb in his rallying times. His Serene Highness witnessed the end of the qualifying session, tested the Citroën C-Elysée as passenger of Sébastien Loeb and received as gift from Citroën a show car of the Citroën DS3 WRC that shone so many times in the Rally of Monte-Carlo and will now enrich the collection of the Automobile Museum of the Principality. HURRAH FOR THE LOGISTICS’ BOYS AND GIRLS! She stood proudly during the entire Paul Ricard weekend in the Honda hospitality: ‘she’ is a Honda Civic SB2 Racing (model year 1978) that has recently being completely restored by a group of friends, mainly retired motorsports journalists and Honda France employees. The car is a genuine racing version of the first generation of Civic models launched in 1972. With its 65 hp per only 630 kgs of weight, the car is a little ‘bomb’ that now takes part to historic races. Today’s Honda WTCC drivers, Gabriele Tarquini and Tiago Monteiro, duly paid their respects to the venerable lady! Citroën dominated the second round of the 2014 WTCC on its home race at the Circuit Paul Ricard, clinching a double 1-2 win, but the two French races, on a more traditional circuit than Marrakech, were certainly more lively and closely-fought than anticipated, which thrilled the crowd. Estimated attendance was 29,000 over the weekend. Yvan Muller opened his personal count of wins, by taking Race 1 on wet track, after having inherited pole position following the cancellation of all qualifying times of Sébastien Loeb and José María López because of an anomaly in the fuel cut-off valves. Loeb stormed from the back of the grid to take second. In Race 2, marked by two safety-car periods, López managed to win, despite starting from last position, after climbing throughout the field, escorted by Yvan Muller, while Loeb could not make better than sixth after hitting the tires at the first chicane. Muller and López also set the fastest lap in Race 1 and 2 respectively, to be declared Yokohama Performers of the event. Today’s round saw Honda conquering its first two podium finishes of the season, with Gabriele Tarquini in Race 1 and Tiago Monteiro in Race 2. The Civic cars showed clear progress, as demonstrated also by the other points finishes of the customer cars of Norbert Michelisz and Mehdi Bennani. Rob Huff put an incredible show in the wet in Race 1 to offer LADA a great fifth place in Race 1. The Chevrolets were a little step behind today, with Valente 6th in Race 1 and Borković 7th in Race 2 as best results. Franz Engstler continued to reign on the TC2 class, with two new wins, despite being hit by John Filippi in Race 2 when the Frenchman missed a braking. With today’s results, López retains the lead in the Drivers’ Championship, where he has a 8-points advantage on Loeb and 18 on Muller. The championship will resume at Budapest’s Hungaroring, on May 4 for rounds 5 and 6. After posting the fastest lap in yesterday’s qualifying, the two Campos Racing Chevrolet Cruze turbo cars won both races despite the wet track. Team-mates Nikolay Karamyshev from Russia and Igor Skuz from Ukraine, shared victories after two spectacular and fair fights that were sealed by a hug on the podium, proving that people from these two countries may pacifically coexist. 2013 champion Petr Fulín emerged twice as the winner of the TC2 class, despite both races had different leaders (Norbert Kiss and Norbert Nagy) in the early stages. German girl Ulrike Krafft dominated the male team-mates and scored two wins in the S1600 class, while ETCC rookie Aku Pellinen celebrated his maiden appearance in the series with a double victory in the Single-Make Trophy. Results of the Single-Make Trophy remain provisional, pending the technical check on the engine of the SEAT León cars of Andreas Pfister and Ronny Jost. Sébastien Loeb and José María López set the two fastest laps in today’s qualifying, and this would have been Loeb’s first WTCC pole position. However they were both stripped of their positions after the technical checks. During the post-qualifying checks, the FIA Technical Delegate tested the automatic fuel cut-off system on all the five cars that took part in Q3. This test failed on the Citroën C-Elysée cars of Loeb and López; the same test had been successfully performed last week before the opening event of the season at Marrakech. Consequently, the Stewards of the Meeting decided to disallow all lap times set by the two drivers who will be demoted to the back of the starting grids of both tomorrow’s races. This will place Yvan Muller and Gabriele Tarquini on the front row of the starting grid for Race 1, while Mehdi Bennani and René Münnich will share the front row of the top-ten reverse grid for Race 2. On the track he knows better among those that host the championship, Loeb had improved in each part of the qualifying session. Second behind Yvan Muller in Q1 (one tenth slower) and Q2 (with a gap of 0.07 seconds) the former rally ace clocked the fastest lap in Q3, beating José María López by 0.09 and Muller by 0.33. One of the first persons to congratulate Loeb was His Serene Highness the Prince Albert of Monaco who was visiting the WTCC paddock invited by Daniel Elena, Loeb’s former co-driver. Behind the Citroën trio, Honda and Chevrolet cars fought for the other positions. Eventually Gabriele Tarquini pipped Hugo Valente to secure fourth position, while Norbert Michelisz and Tom Chilton were the first two drivers who remained out of Q3. John Filippi provided the icing on the cake for the French fans, posting the fastest lap in the TC2T class. Nikolay Karamyshev (TC2T), Norbert Kiss (TC2), Ulrike Krafft (S1600) and Dmitry Bragin (SMT) set pole positions in today’s qualifying at Le Castellet. After setting the fastest laps in yesterday’s testing and this morning’s practice the two Chevrolet Cruze cars run by Campos Racing topped again the overall classification and the TC2T class. Karamyshev improved significantly from 1:35.022 to 1:33.964, inflicting a one-second gap to his team-mate Igor Skuz (1:35.021). BMW drivers Franz Engstler (1:35.493) and Mat’o Homola (1:36.114) were classified in third and fourth respectively. Norbert Kiss placed his Team Unicorse Alfa Romeo 156 in fifth overall and on top of the TC2 class with a lap of 1:36.670, beating the BMW cars of the Krenek Motorsport duo of Petr Fulín (1:37.098) and Michal Matĕjovský (1.38.198). In the Single Make Trophy, SMP Racing’s Dmitry Bragin pipped Andreas Pfister with a last lap of 1:37.956 that was also good enough for the eighth position overall; Pfister remained second (1:38.235), while young Finn Aku Pellinen took third (1:38.290). In the Super 1600 class the best lap time was set by Ulrike Krafft in her Ravenol Team Ford Fiesta (1:49.819); the German girl literally outclassed her competitors, leaving her team-mates Christian Kranenberg (1:51.702) and Patrick Wolf (1:51.741) nearly two seconds behind. Gilles Bruckner, runner up in the 2013 S1600 ETCC was forced out of the meeting following an engine failure that hit his Ford Fiesta car during Friday’s testing. Race 1 starts at 12.45 local time tomorrow with Race 2 beginning at 13.50. Citroën’s two victories in today’s opening rounds of the 2014 World Touring Car Championship held at the Marrakech street circuit in Morocco might not have come totally unexpected, but the names of the winners might. In the first race, the Citroën trio was led home by Argentine José María López, with nine-time World Rally champion Sébastien Loeb in second and four-time World Touring Car champion Yvan Muller in third. The three Citroën drivers made a clean getaway as soon as the lights went out and controlled the race from the front. The race quickly settled into a groove as none of the drivers was willing to risk a potentially costly accident with the next event in France just a few days away. Chevrolet drivers Tom Chilton and series newcomer Dušan Borković completed the top-five, with Tiago Monteiro bringing the first Honda home in sixth and James Thompson doing the same for LADA in tenth. While the first race was remarkably devoid of accidents, the inevitable crash happened at the start of the second race, when pole sitter Tom Coronel was pushed into the wall by fellow front-line starter Mehdi Bennani. Coronel’s stricken car then took out Yvan Muller’s Citroën and the race had to be suspended. After the restart, Loeb managed to take the lead jumping Monteiro and Bennani in a short sequence. The French ace didn’t look back and held the lead until the finish, thus scoring his first WTCC win. Race 1 winner López worked his way up from fifth to second and took the provisional lead in the standings, only one point ahead of Loeb. Hugo Valente scored Chevrolet’s first podium finish of the year while Bennani still salvaged fifth, having been pipped for fourth by Tom Chilton by just 26/1000ths of a second. LADA’s Mikhail Kozlovskiy scored his first points in the championship, while German veteran Franz Engstler used his experience to twice win the TC2T category for old-generation cars. Loeb and López also shared the laurels in the new Yokohama Performer, setting the fastest laps in Race 1 and 2 respectively. The championship will resume next week at Le Castellet’s Circuit Paul Ricard, on April 20 for rounds 3 and 4. José María López took a triumphal victory for the Citroën Total WTCC team. The Argentine crossed the line first ahead of team-mates Sébastien Loeb and Yvan Muller. The three C-Elisée cars led from lights to flag, creating a huge gap between them and the rest of the field. Tom Chilton finished fourth, but only eight seconds behind; the Briton was followed by Borković, Monteiro and local hero Bennani. Franz Engstler dominated the TC2T class from his team-mate Di Sabatino. Sébastian Loeb took his maiden win in the WTCC in what was only his second start in this championship. He beat team-mate and Race 1 winner José María López. López who is the first leader of the championship, thanks to the pole position points. The race was marked by an accident at the start between polesetter Tom Coronel and local hero Mehdi Bennani. In the melee, the Citroën of Yvan Muller was also an innocent victim. At the restart, the two C-Elysée cars took control of the proceedings, cruising to a 1-2 finishing. Hugo Valente took a brilliant first podium with the Campos Racing Chevrolet, ahead of Tom Chilton and Bennani, who completed a brilliant recover after paying a drive-through penalty. Mikhail Kozlovskiy, who scored a remarkable sixth for LADA and also his first WTCC points. Franz Engstler encored his victory in the TC2T class, ahead of John Filippi who beat Pasquale Di Sabatino for second. The Stewards of the Meeting excluded Mehdi Bennani from today’s Race 2 after his car was found underweight during the technical checks. Bennani had finished the race in fifth position, after serving a drive-through penalty for the collision with Tom Coronel at the start. His exclusion promoted Mikhail Koslovskiy to fifth and Gianni Morbidelli to sixth. The points for the positions from seventh to tenth were awarded to Engstler, Filippi, Di Sabatino and Monteiro. During the 2014 season, WTCC competitors will benefit from a 30-minute test session on Friday in most of the race meetings. Following a request coming from the teams, it was decided to run a Friday test session in the early afternoon at all race meetings except the one at the Moscow Raceway on June 8. In Macau the test session will be run on Thursday, as usually. In previous seasons Friday test sessions were only held at the new venues and in the overseas events. This compensates for the previous decision of cancelling the 15-minute Warm-Up session on Sunday morning. This year Tom Chilton will be racing for ROAL Motorsport in one of the RML-built Cruze TC1 cars. A former race winner and Independents’ champion in the British Touring Car Championship, the 28-year old Briton faces his third season in WTCC. After a maiden year in the Arena Motorsport’s Ford Focus, in 2013 Chilton established himself as one of the series’ top drivers, winning his first races and fighting for second in the Drivers’ Championship. LADA Sport drivers look forward to visit some new circuits during the 2014 WTCC season, especially because they feel that their LADA Granta car is good on the fast racetracks. Rob Huff has joined the star-studded list of names who will attend the 72nd Goodwood Members’ Meeting on March 29th and 30th. The 2012 FIA WTCC champion will first race in the Gerry Marshall Trophy for Group 1 touring cars from the mid-Seventies to early Eighties, sharing a 1980 Rover 3500 SD1 with Tom Scott Andrews. Later he will take part in the weekend’s high-speed demonstration of turbocharged F1 machinery at the wheel of René Arnoux’s mighty Renault RE30B from the 1982 season. The Castrol Honda Team successfully carried out the second test session with the new Civic WTCC, at Montmelo’s Circuit de Barcelona-Catalunya from Tuesday to Friday. The weather was sunny and bright, with warm temperatures for the four days. Gabriele Tarquini drove on the first three days and Tiago Monteiro took over today. Tiago Monteiro was the driver who drove the Honda Civic to its maiden WTCC appearances at the end of 2012. Last year the Portuguese – a former podium finisher in F1 and a race winner in WTCC – team-up with Gabriele Tarquini in the Castrol Honda factory team. He struggled in the first part of the season, often sidelined by incidents and technical issues, but improved consistently race after race and was able to claim his first victory in the Civic at Shanghai. Last year was the first full season for Honda after the three appearances in 2012. Were you happy of how the car progressed from Monza to Macau? Le Castellet’s Circuit Paul Ricard offers motorsports fans an exclusive promotion for the FIA WTCC Race of France that will take place on April 19th and 20th. From Monday, February 17th, the first 5000 week-end packages for the event will be offered on sale at the reduced price of 18 € instead of 30 €. The offer will be available on http://www.circuitpaulricard.com. Eurosport Events, promoter of the FIA European Touring Car Cup, confirmed the organization of the Yokohama Trophy for the 2014 season. Thanks to the support of Yokohama, ETCC official tyre supplier, up to 50,000 € of prize money will be awarded at each of the five race meetings; only competitors who will enter in the full season by the deadline of 31 March will be eligible for the prize money. Details about the partition of the prize money among the different categories will be unveiled later.